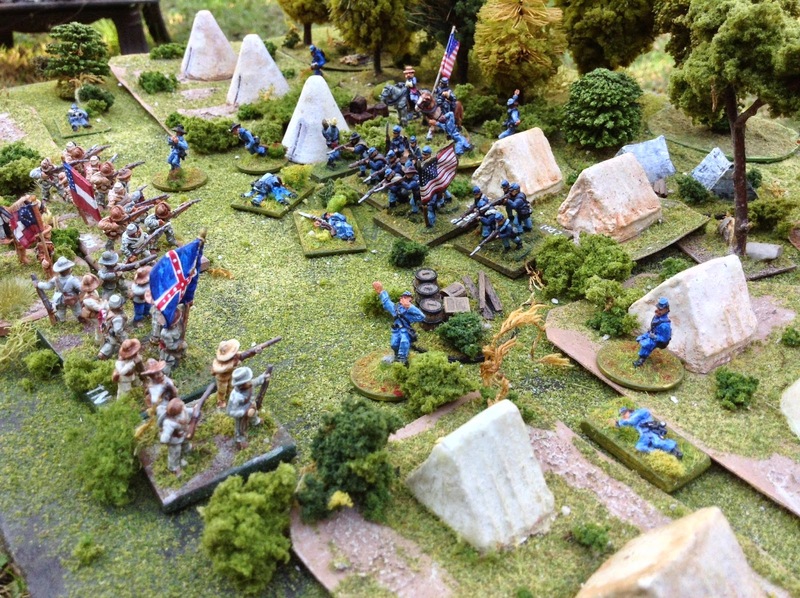 Hey Guys - just sharing some of my recent 15mm ACW pictures! 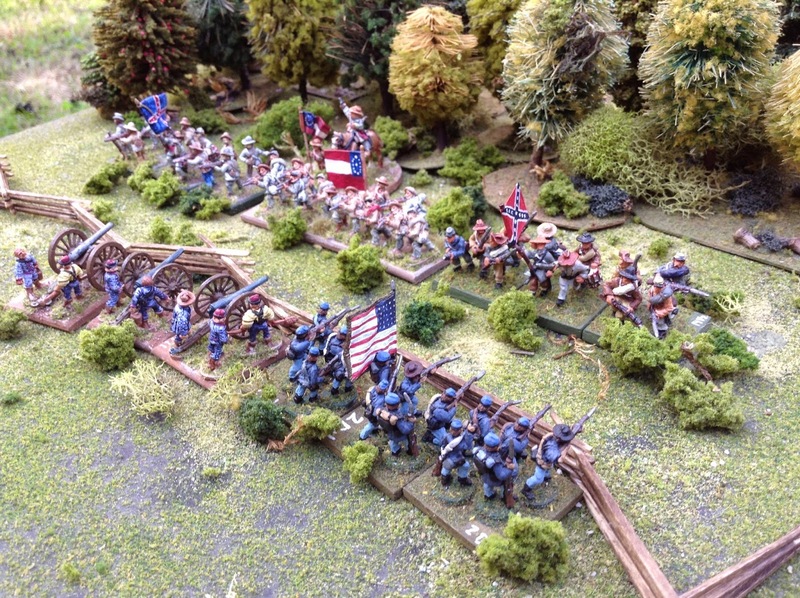 I got in a game of "Across A Deadly Field" recently and am looking to play some "Longstreet" or "Johnny Reb" in the near future too! Confederate attack on the Union position at Shiloh. 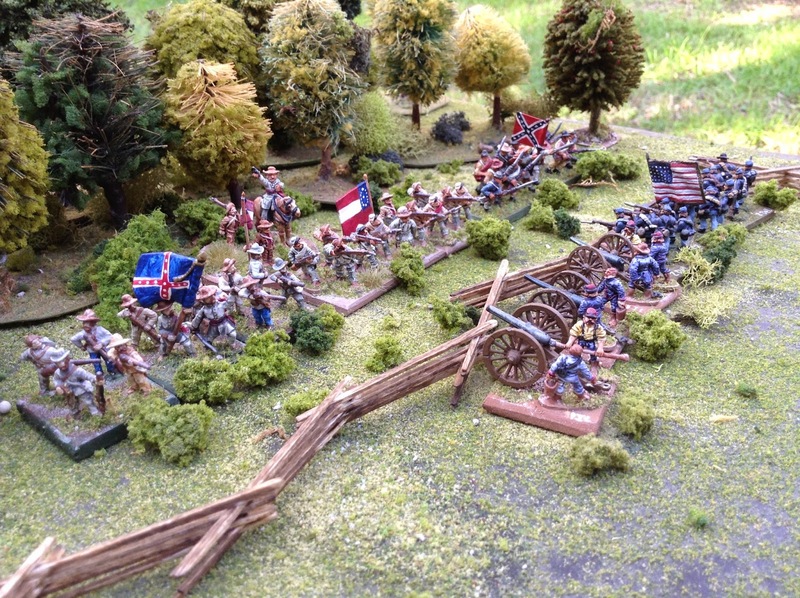 The attack on the Union camps! No coffee this morning boys! 15mm Naismith artillery defends the Hornet's Nest! 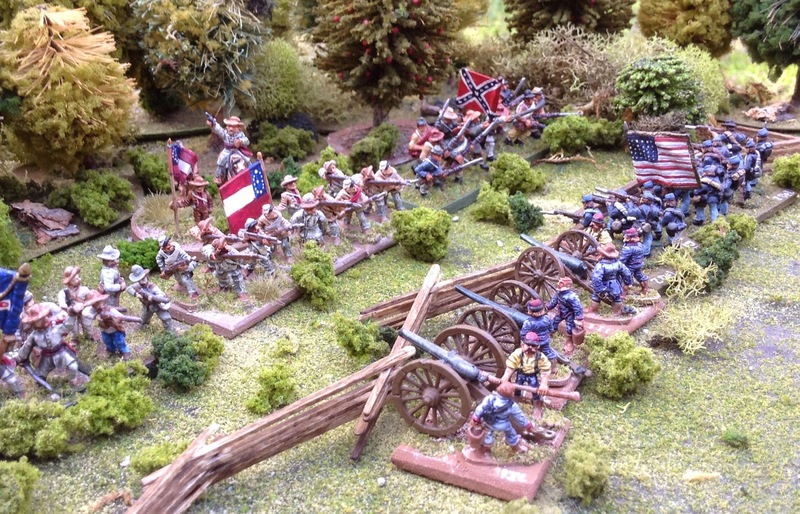 My 15mm Battle of Nashville 1864 table. The terrain is all ready to go and now I just need to add the troops! Wouaouh, this is what I call a beautiful table! 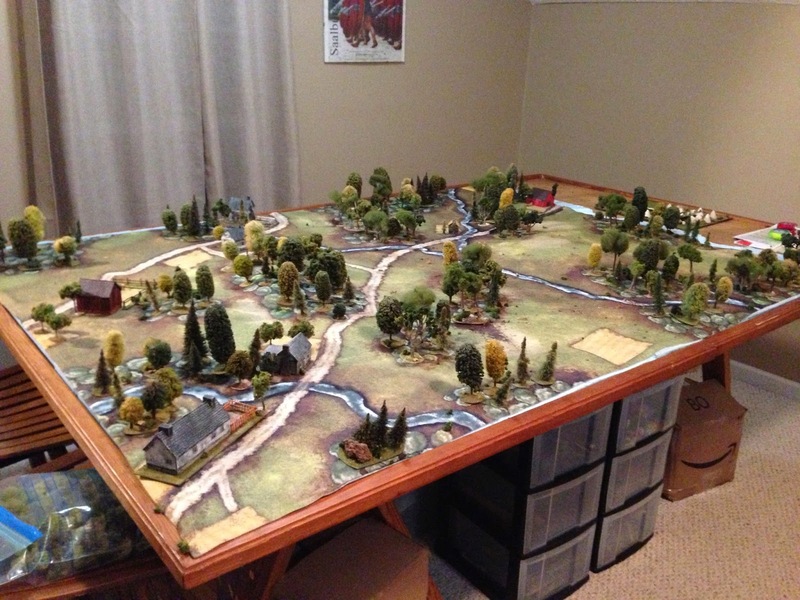 Awesome table and terrain, with great painted figures/units...marvelous! What a game and stunning terrain Cory - truly inspirational. Table looks awesome! Great photos! Thanks for the comments guys! Good Gaming!